COLONIE – The Bethlehem Eagles won its second road game in two weeks on Friday, Sept. 7, by beating CBA 18-7. CBA scored on its opening drive, with an 8-yard run by Isaiah Scarlett but could not find the end zone again. Bethlehem, who was running a no-huddle offense throughout most of the game that kept CBA (0-2, 0-2) on its heels, scored late in the first quarter when Derek Martelle hit Ryan Cartwright for a 22-yard touchdown. The two-point conversion failed. A partially blocked punt by Nicholas Zigrosser set up The Eagles (2-0, 2-0) second score when Martelle hit Cartwright again. The extra point attempt failed. Workhorse running back Alexander Shudt, who also plays defense, scored from nine yards out in the third to give the Eagles the final 18-7 edge. The two-point conversion failed. 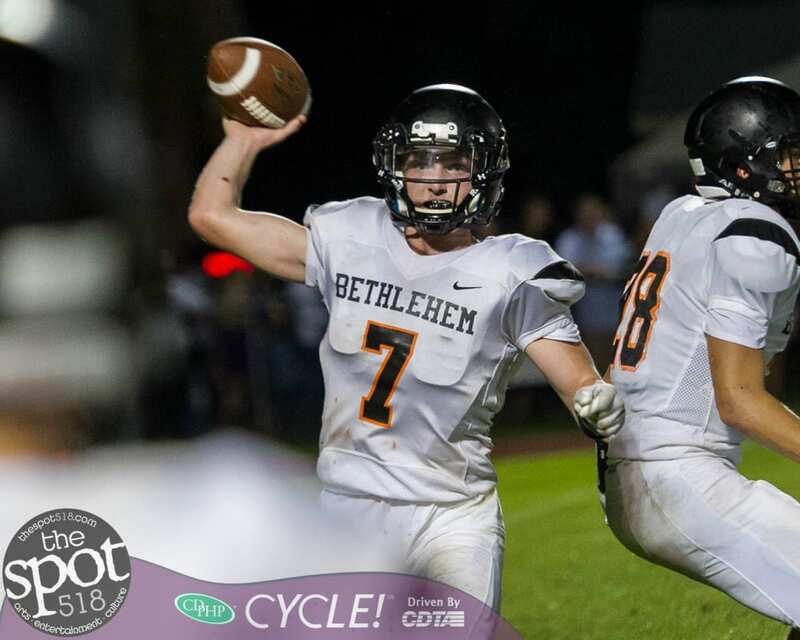 Bethlehem will host Guilderland (1-1, 1-1) and CBA will host Albany (0-1, 0-1) on Friday, Sept. 14.